“To be a carer is to find unconditional love and care within yourself… to become uncentred within your own needs and expectations…” says Joanna Oleszczynska who has learned much from supporting her daughter, while coming to terms with her own struggle with depression. Joanna who recently joined Missing Link as a peer supporter (the service has been supporting people on the wards and as they are discharged from Lambeth hospital back into the community) says training for the role triggered memories she had buried of her own experiences of mental health when she was younger. She had a chance to unblock and explore these feelings and as a result she has started a project for teenagers who she believes aren’t catered for in the mental health system. She says it is crucial to reach them in the early stages of depression and other mental health issues. Joanna is growing her project through the Music4Children community hub, which is attached to the White Lion pub in Streatham. She wants young people to lead and shape the weekly workshops for themselves. Joanna, who is Polish and has lived in the UK for 14 years says it was determination and strength that helped her to come out of “my own unwellness, which empowerd me. “Working as a peer supporter has brought a natural healing process into my life and also allows me to meet some extraordinary people,” she adds. Our photograph was taken by Dr Tamara Russell during a carers’ mindfulness session in Brockwell Park. “Mindfulness training reminds us that even when the clouds are fluffy or dark, the blue sky is still above,” she says. “Lambeth carers with the support of Sarah Bennett at Carers Hub took part in the five week Body In Mind Training at Mosaic Clubhouse. Over five weeks we explored the themes of mindfulness and their relevance to carers’ lives. Just giving permission to look after themselves was a major theme and many of the carers immediately engaged with this. Noticing that it might feel uncomfortable or difficult to do something different and put yourself first was also a theme but many of them were really courageous and went for it! 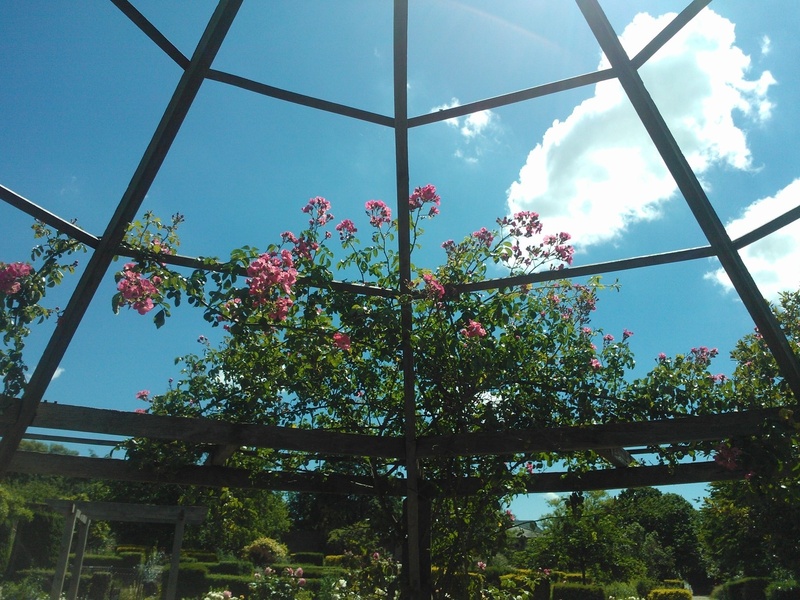 A number of the sessions were held in Brockwell park where the group had a chance to reconnect with nature and the beauty of the walled garden and a chance for an ice cream at the café – real acts of self care that nurtured them and provided a chance to “fill up the tank” rather than letting it empty”.